Japanese are famous for some weird and unusual inventions. In the Sphere of fitness the japanese designers and creators managed to invent two wacky devices that should apparently help in building muscles. 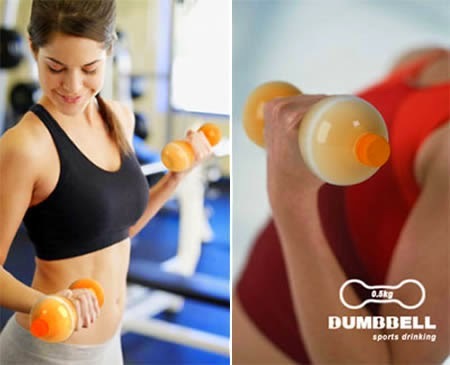 These inventions using dumbbell are quite funny and original. 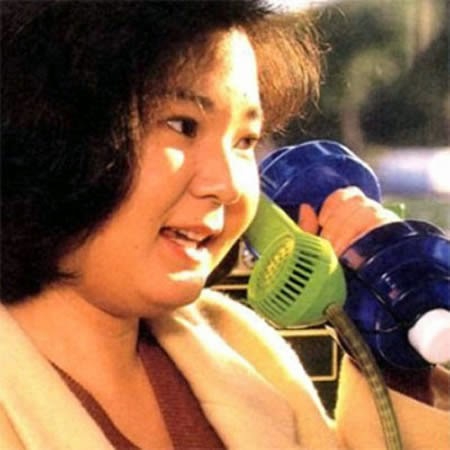 The art of unusual Japanese inventions known as Chindogu brings us an attachment for the telephone! If you wish you were building biceps instead of sitting in your cubical, this dull fitness gadget might be the answer to all of your problems. Sure, you'll look like a fool and everyone in the office will make fun of you. But that's not as important as those giant 12-inch guns you can develop every time you pick up the phone. And also we'll even have one of personal fitness trainers call you every hour on the hour. That's eight workouts for every day you are in the office. Designer Jin Le certainly has a humorous take on things, coming up with the Dumbbell Sports Drink. This plastic bottle might possibly go a long way in helping us keep the environment clean. Once we're done with the contents inside, there is no need to throw this away as you can always expand its use by virtue of filling it up with soil or water. The exceptional shape turns it into an impromptu dumbbell, letting you work out those biceps while you're at work.